Today, nearly 80% of CEOs are promoted from within. That’s a remarkable change, considering that just a few short years ago companies relied on “charismatic superstars” recruited from the outside to “save” their company. The Elevate Partners philosophy is that outside candidates should be at least 1.5 times as good as the leading internal candidate, otherwise it’s just not worth the risk of cultural incompatibility. But how can your board tell if an internal candidate is that good? 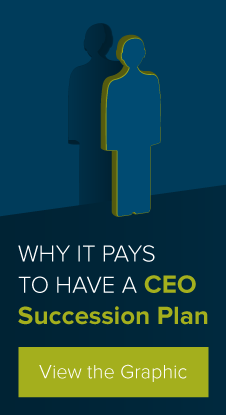 Elevate Partners is uniquely positioned to help your board fulfill its top priority — CEO succession planning. The best corporate directors make sure that they accurately assess the leadership potential of “rising star” executives very early in the CEO succession process — at least two years before the incumbent CEO is replaced. That’s not easy to do. Leadership potential is a moving target and must be assessed very carefully. Top boards also actively scan the external market to understand what the competitors are doing. Insularity is not an option. Diligent directors then use accumulated data and insight to make sure they are creating the best possible career path and coaching plan for their own rising stars. Even though only one person can become the next CEO, companies don’t want to lose their best talent in a CEO succession horse race. Elevate Partners offers boards an integrated approach to succession planning, drawing upon expertise in executive assessment, leadership development, and executive search. Through very tight strategic partnerships, Elevate Partners also offers clients executive coaching and onboarding solutions to make the succession process even more seamless. In short, we have all the expertise your board needs to ensure they are fulfilling their number one responsibility — CEO succession planning.